I can’t even with these two. I can’t wait to see our little Kenzi on screen with Cosima. Can’t. Wait. Can’t. 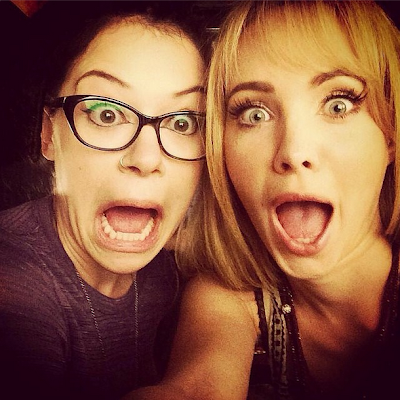 Tatiana Maslany and Ksenia Solo look adorable together! I'm afraid I don't get whatever channel "Lost Girl" is on at the moment but I love reading your reviews and I have NetFlix. I just started binge-watching the first four seasons of "Lost Girl" all over again on NetFlix and it's driving me crazy that I can't watch the fifth season yet.